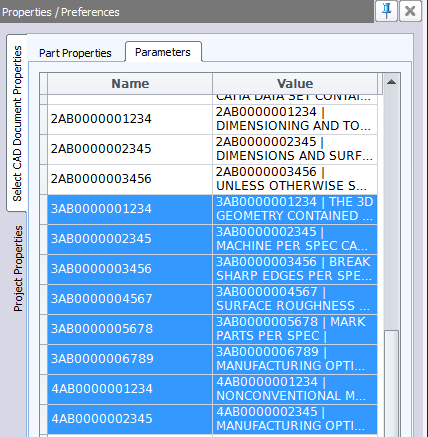 InspectionXpert OnDemand for CAD 2015 SP05 has been released! InspectionXpert OnDemand for CAD continues to be easier to use and offers more flexibility and options for customizing each project. This Service Pack Release (“SP05”) is our 5th major upgrade for this product, and offers our clients 8 new features and capabilities in addition to a variety of other fixes and improvements. InspectionXpert OnDemand for CAD is now even easier and more efficient to use! 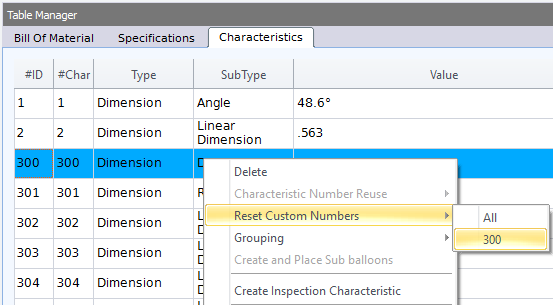 Customizable Balloon Numbering - Users can now quickly establish custom numbering schemes. Add annotation text to CAD files - Now you can add annotation text to CAD files. User defined screen captures for 2D PDF export & excel publish - Reorient and zoom in to a desired area for a custom screen capture to be included in 2D PDFs or Excel reports. Sampling by attributes table - Statistical sampling fields and logic for calculations have been added to the Project Properties. Correlate flag notes - Identify all flag notes with the same value throughout a given CAD file and automatically create a group of flag note characteristics. Drag and drop functionality in BOM and BOS tables - Drag and drop reorder functionality has been applied to the Bill of Material and Specifications tabs of the table manager. Import BOM/BOS data directly from CATIA file properties - CATIA data containing Part Properties or Parameters can be imported automatically and populate desired fields within the Project’s Bill of Materials of Specifications. Improved Surface finish extraction - Characteristic Value for Surface Finish annotations now only displays the properties found on the symbol. Italian language support - InspectionXpert OnDemand can now be displayed in Italian. All of us at InspectionXpert Corporation, thank you, our users for your great ideas, comments and suggestions! Your insights and feedback is truly appreciated. 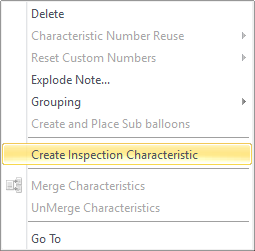 Customizable Balloon Numbering - This highly requested feature will allow users to edit the value of the characteristic number directly within InspectionXpert's table manager to quickly establish a custom numbering scheme. 2. Add annotation text to CAD files - “Create Inspection Characteristic” now has the capability to add annotation text to CAD files. Users simply create a characteristic, place the balloon, and edit the value of the new characteristic! 3. 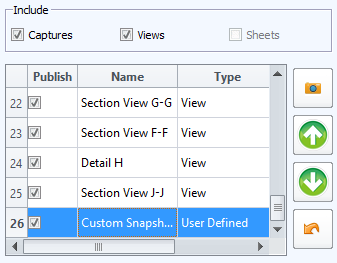 Create user defined screen captures for 2D PDF export & excel publish - New feature added which allows users to reorient and zoom in to a desired area on the currently opened drawing or model, then take a custom screen capture to be included in 2DPDFs or Excel reports. 4. 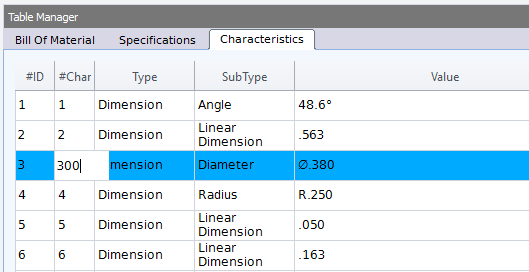 Sampling by attributes table - Statistical sampling fields have been added to the Project Properties. The values selected determine “AQL”, “Sample Size”, “Accept” & “Reject” fields for each characteristic in the project. 5. Correlate flag notes - This new feature available within the Extraction Settings will identify all flag notes with the same value throughout a given CAD file and automatically create a group of characteristics. 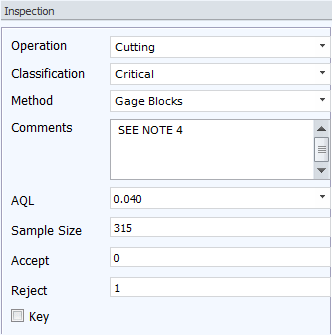 This enables inspection planners to quickly fill in associated requirements for each instance of the flag note. 6. Drag and drop functionality in BOM and BOS tables - Drag and drop reorder functionality has been applied to the Bill of Material and Specifications tabs of the table manager. 7. Import BOM/BOS data directly from CATIA file properties - If your CATIA data contains Part Properties or Parameters, this feature will allow the data to be imported automatically and populate desired fields within the Project’s Bill of Materials of Specifications. 8. Improved Surface finish extraction - Characteristic Value for Surface Finish annotations now only displays the properties found on the symbol, no more surface finish properties with empty values! 9. Italian language support - InspectionXpert OnDemand can now be displayed in Italian.